1. What’s the purpose of a “statement of purpose"? 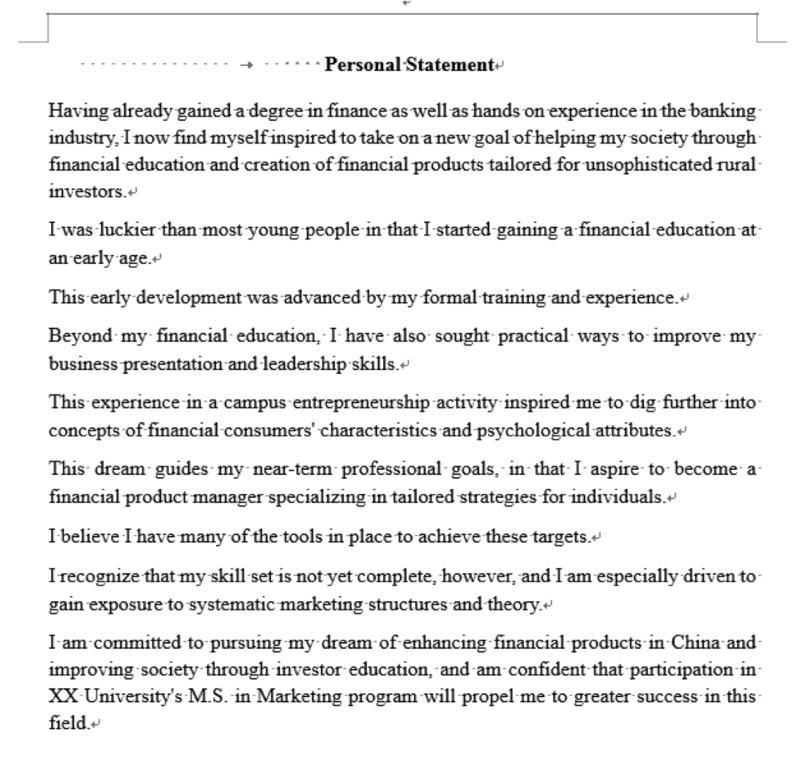 Some statements require rather specific information; for example, the applicant's intended area of study within a graduate field. Still others are quite unstructured, leaving the applicant free to address a wide range of matters. The importance of the statement varies from school to school and from field to field. As you start out in writing your own SOP, first ask yourself what you want to accomplish with this essay. Usually the purpose is to persuade the admissions committee that you are an applicant who should be chosen. Whatever its purpose, though, the content must be presented in a manner that will give coherence to the whole statement. By keeping this objective constantly in mind, you will be able to sift through all of your possible statements and identify what extraneous material should be left out. Also pay attention to the audience (i.e., the admissions committee) throughout the statement. In particular, keep in mind their “level”--your audience is made up of professionals in their field, and you are not going to tell them how they should act or what they should be. You are the amateur. Be sure to answer any questions fully. Analyze the questions or guidance statements for the essay completely and answer all parts. Your intended future use of your graduate study. Your unique preparation and fitness for study in the field. Any problems or inconsistencies in your records or scores, or any special circumstances that has affected your performance. Above all, this statement should contain information about you as a person. If there is something important that happened to you that affected your grades, such as poverty, illness, or excessive work, state it. Unless the specific program says otherwise, be concise. Use a catalog of achievements. - Important paper or thesis project you completed, as well as anything scholarly beyond your curricular requirements. In the sample essay, we have great raw materials for addressing each of these questions. The main thing I have done is to reorganize a bit to highlight these areas . . .
. . . while also putting it into a narrative form that moves forward from past to present to future. To test this, try removing everything except the topic sentence of each paragraph (and the last sentence of your final paragraph, where you should have a firm conclusion if possible). 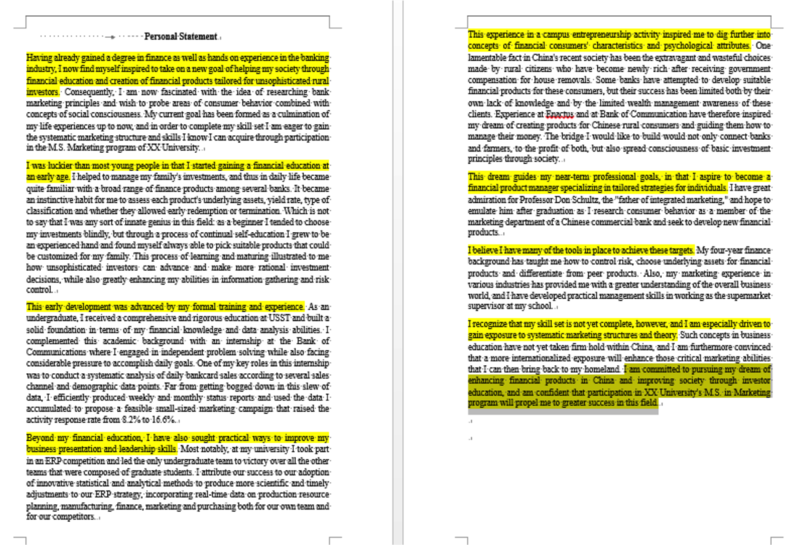 And after see how I’ve removed everything except topic sentences and final concluding sentence to see how it reads. 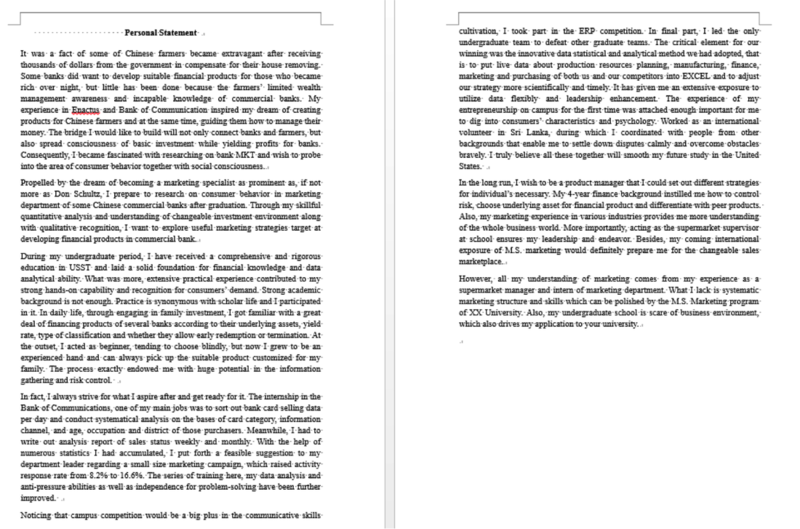 For many essays, it’s a good idea to try to at least give a preview of the overall message within the first paragraph. On the other hand, don’t overdo it: leave them hungering for more. 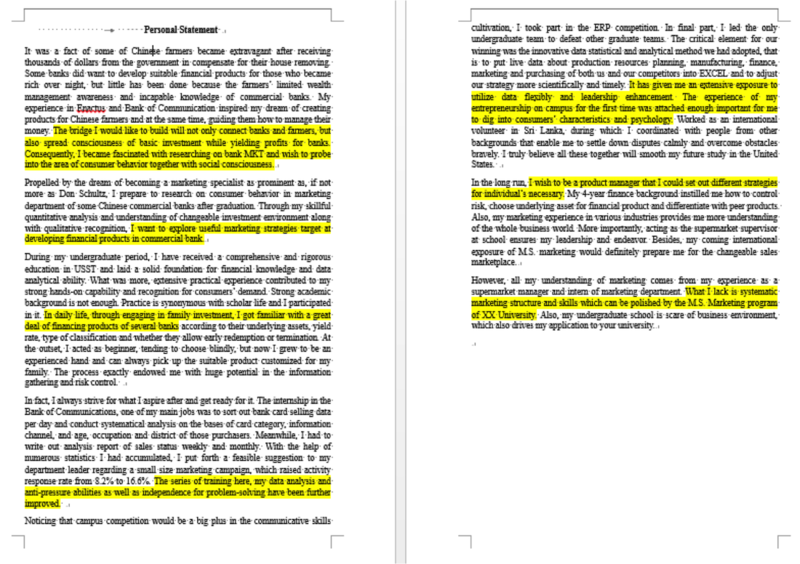 In the following two slides, take a look at the “before and after” of the first paragraph of the candidate’s essay. Everything should go toward answering key questions in the admissions committee’s mind, while also advancing the narrative in an interesting way. I thus trimmed some of the extra details and summarized instead. In the following two slides, take a look at the “before and after” of one particular such discussion. If you’re going to “name drop,” make sure you do so in an appropriate way that indicates you are familiar with the person you are citing and understand his or her significance to your goals. It would be better for the candidate to express admiration for Dr. Schultz and indicate why he provides inspiration. Simply to drop his name doesn’t mean much; and to claim that the candidate could become more prominent than the professor comes across as “boastful” at best and possibly a bit ignorant at worst. Now let’s talk about this, shall we?